Thanksgiving may have come and gone, but this warm salad is packed full of autumn flavors to brighten your table this holiday season. The sweetness of maple roasted butternut squash and tart cranberries is balanced with spinach and red onions, while the mild tang of Stilton cheese adds some richness and a hint of unami. 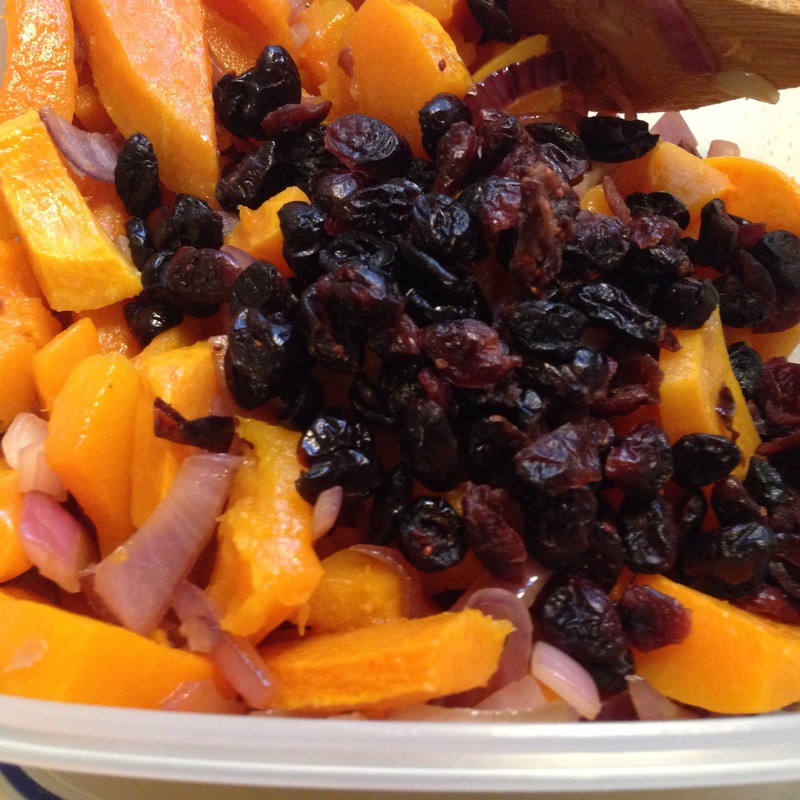 Several years ago, I tried out a warm butternut squash and spinach salad recipe from a Whole Foods Market cookbook for a family holiday gathering. It was a hit. Over the past several years, I’ve made my own tweaks to the dish that make it even more special for fall and winter entertaining. I baste and roast pre-cut, raw butternut squash with a mix of maple syrup and olive oil. 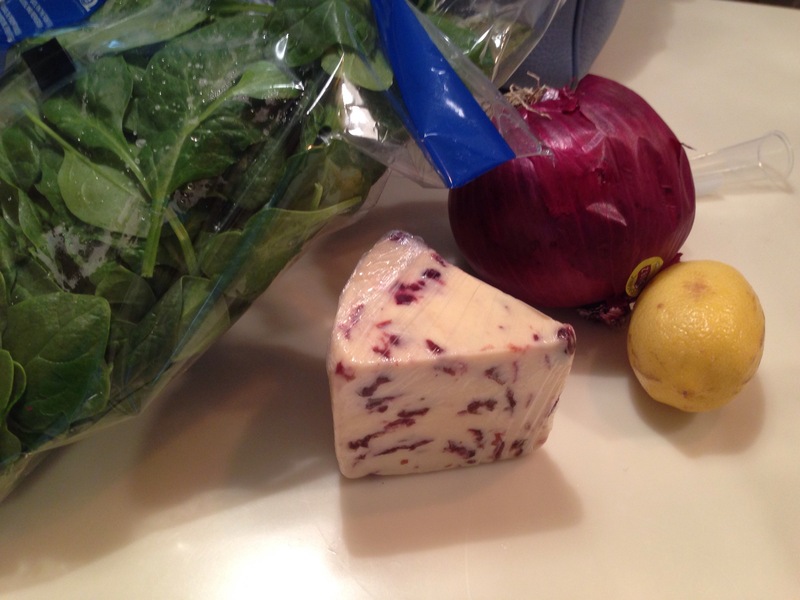 Instead of Gorgonzola cheese, I use English Stilton with cranberries. Its mild, slightly sweet tang is more of a crowd pleaser and is festive and easier on the eyes than the more pungent Gorgonzola. Substitute Wensleydale, Stilton with apricots, or a plain Stilton if you can’t find the cranberry variety. This salad can be made, start to finish, in under one hour. It is best served immediately, but If you are serving it in someone else’s kitchen, you can roast the squash and sauté the onion in advance. The trick is to avoid heating the spinach until just before serving, as spinach can easily over-wilt and over-cook. 2 Tbsp. olive oil plus additional 1-2 Tbsp. 10 oz. fresh spinach, washed and drained. Whisk 2 Tbsp. olive oil with maple syrup to emulsify. Toss butternut squash with the mixture in a large mixing bowl (or on a baking sheet lined with parchment paper) to coat. Arrange squash in a single layer on a baking sheet lined with parchment paper. Sprinkle lightly with salt. Bake for 30 minutes or until tender (edges may brown slightly), tossing once mid-way through baking. Meanwhile, juice the lemon and sauté the onions. Peel, rinse, and slice onion thinly. In a nonstick or cast-iron skillet, heat 1 to 2 Tbsp. (depending on the size of the onion) over medium heat. 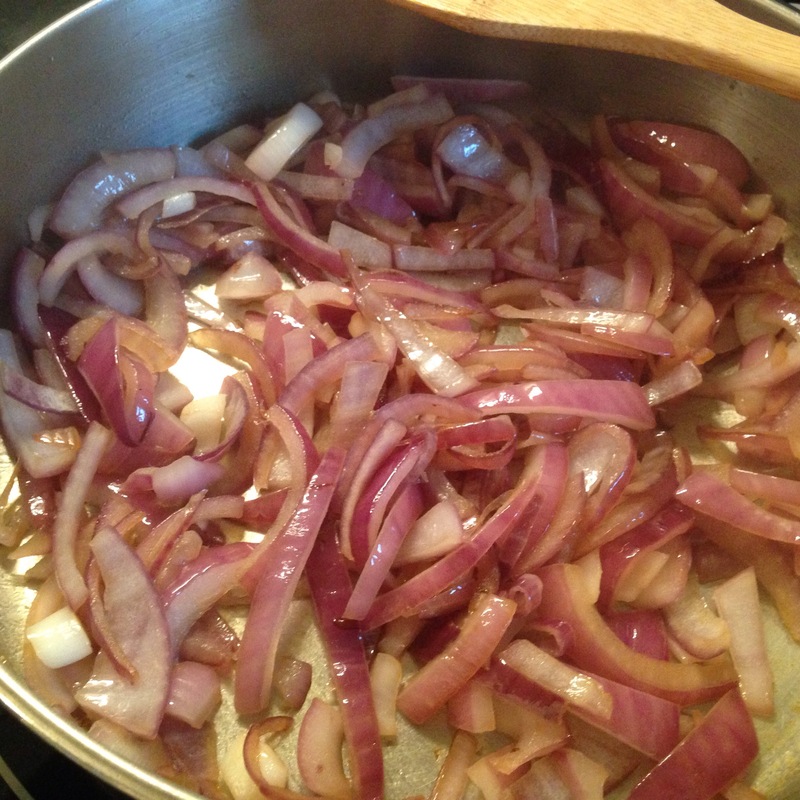 When warm, add the onion and toss to coat in the olive oil. Sauté for 2 minutes and reduce heat to low. Slowly sauté (starting the caramelization process) for another 5-7 minutes. If close to serving. Add in the spinach in batches. Toss and heat until the spinach begins to wilt. Remove from heat immediately. Set aside. 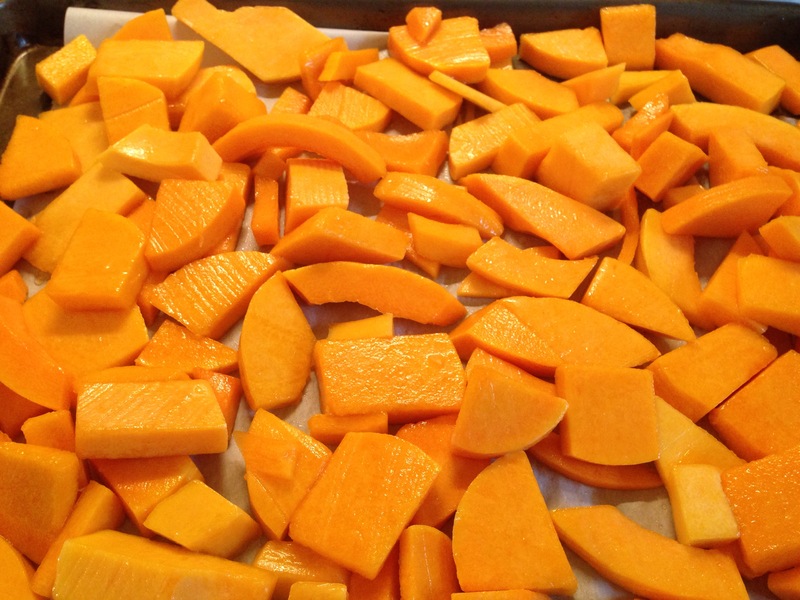 When the squash has finished roasting, remove from the oven and transfer to a large serving bowl. Add in cranberries and lemon juice and toss to mix and coat ingredients in the juice. Just before serving, add in the spinach and onions and mix gently but thoroughly. Crumble the cheese in an even layer atop the salad. Serve immediately. Previous Post Rethinking the nutritional value of cheese: Is it really so bad? This looks amazing! I love squash. And warm salads are so perfect for the season! Thanks for sharing this dish, I need to pin it!